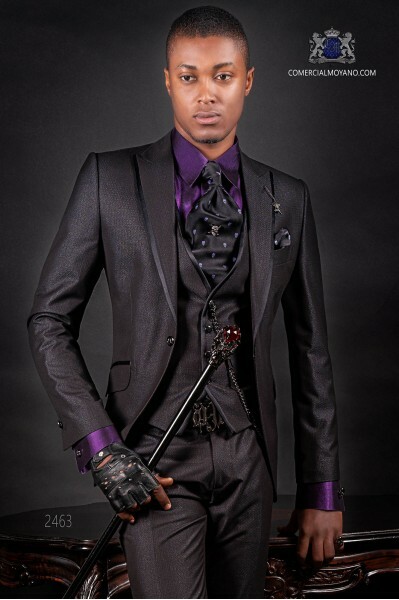 Black gothic suits There are 13 products. 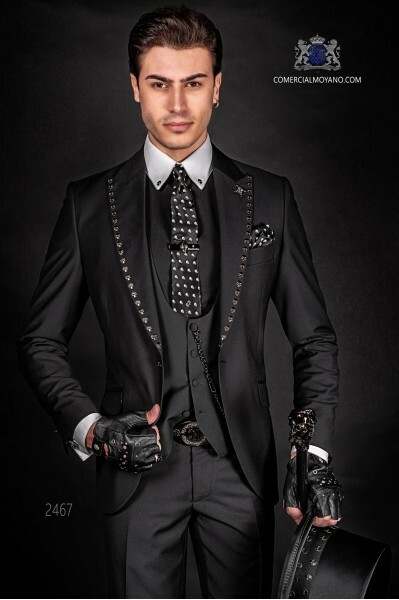 Italian black fashion double breasted suit Slim fit. Satin peak lapels and 6 buttons. Shiny fabric. 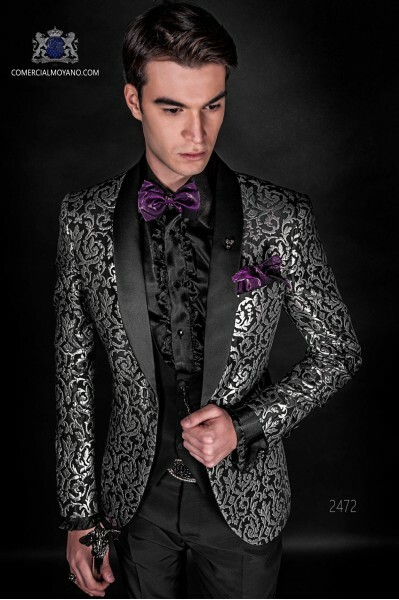 Black fashion tuxedo wedding suit Emotion collection 2466 Ottavio Nuccio Gala. It comes with bag garment Ottavio Nuccio Gala. Italian bespoke black suit with mao collar in micro design wool mix fabric, tuxedo wedding suit 2509 Ottavio Nuccio Gala, emotion collection. 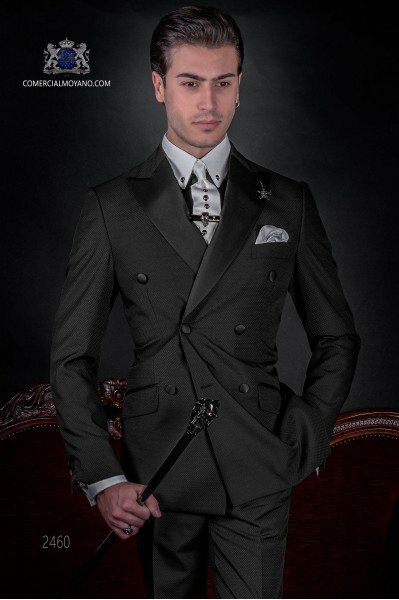 Italian fashion bespoke black suit double breasted with black satin peak lapels and 6 buttons. Black micro design fabric. 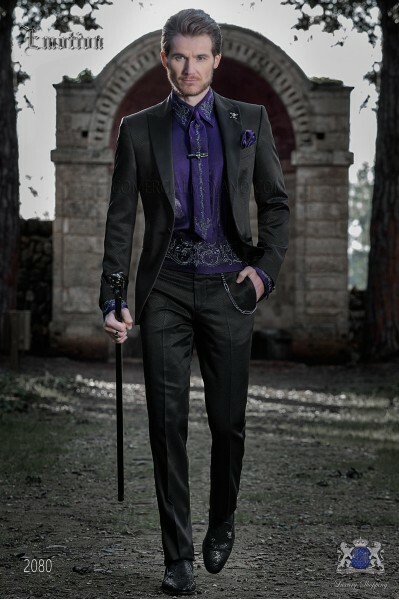 Fashion tuxedo wedding suit 2460 Emotion Collection Ottavio Nuccio Gala. 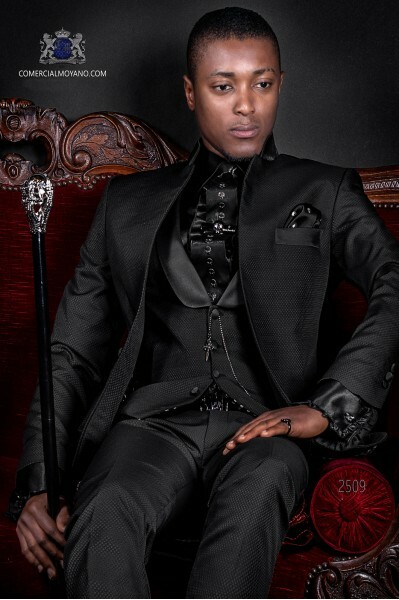 Italian bespoke black suit with wide peak lapels, 1 button, ticket pocket and double vent. Wool mix fabric. Wedding suit 2074 Emotion Collection Ottavio Nuccio Gala. 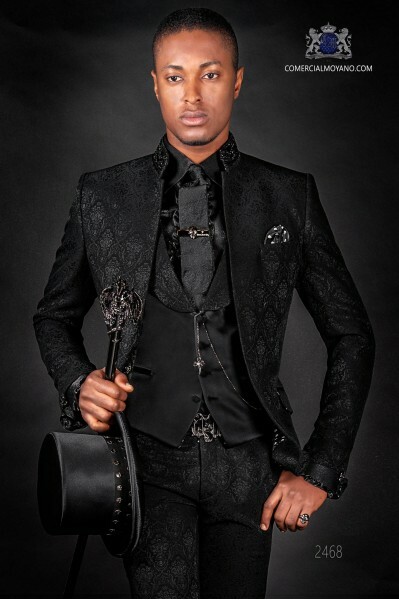 Fashion italian bespoke black monochrome design tuxedo with satin shawl collar and 1 button. Wool mix fabric. Fashion suit 2079 Emotion Collection Ottavio Nuccio Gala. 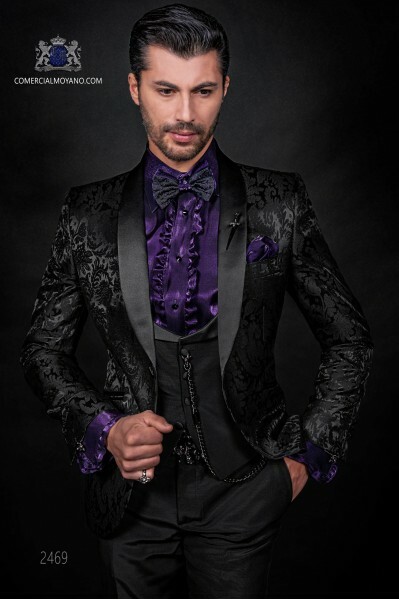 Italian bespoke black tuxedo with black contrast peak lapels and 1 covered button. Wool mix check fabric. Tuxedo 2080 Black Tie Collection Ottavio Nuccio Gala. Italian black shiny fashion suit. Peak lapels with satin trims and 1 button. Shiny black fabric. Black fashion suit Emotion collection 2081 Ottavio Nuccio Gala. It comes with bag garment bag Ottavio Nuccio Gala.